Tonight is Guy Fawkes Night, aka Bonfire Night, but who exactly was this Mr. Fawkes and how did he manage to get a day named after him? Fawkes was born and grew up in York where his father died when he was very young. HIs mother quickly married a Catholic which seemed the defining event in radicalising the young Fawkes. When he was old enough he headed off to Europe and enlisted for the Catholic Spanish cause during the 80 years war with the Dutch under the name Guido Fawkes. Fawkes gained notoriety in the early 1600s as part of a plot to blow up the House of Lords with gunpowder. The plot became known, understandably, as the Gunpowder Plot and the group Fawkes was involved with was a Roman Catholic group whose aim was to kill the Protestant King James I and replace him with his 9 year old daughter who they would have rule as a Catholic monarch. Thanks to an anonymous letter tipping off the King, Fawkes was arrested while guarding 36 barrels of gunpowder that had been strategically positioned in the cellar of the House. As he was the man who was set to light the fuse and see the plot through to completion, his arrest led to him being tortured for days in the hopes that he gave up the names of his co-conspirators. He was eventually sentenced to be hanged drawn and quartered but Fawkes escaped the unpleasant nature of that sentence as he died from falling from a scaffold and breaking his neck. This didn't prevent his body being quartered though and pieces of his body were sent to the four corners of the Kingdom as a reminder to any would be challengers to the power of the King. To celebrate the failure of the plot, King James encouraged the people to celebrate by lighting bonfires and it was such a success that shortly afterwards, the King passed the Observance of 5th of November Act which then became an official day for celebrating the failure of the plot. Over time, effigies of Guy Fawkes were burnt as a central part of the bonfire tradition. Nowadays, Fawkes effigies are no longer burned but bonfires very much remain and are often accompanied by firework displays. 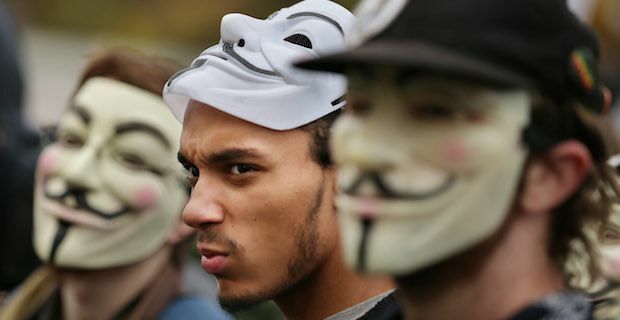 School children all over the UK are still taught the surprisingly catchy rhyme "Remember, remember, the fifth of November" despite its' graphic connotations. Now you know that tonights celebrations and traditions were all due to events that took place over 400 years ago so enjoy your Bonfire Night! Why do we celebrate Guy Fawkes Night?